During gestation and lactation feed 2 to 4 times as much food as recommended in the Adult Feeding Guide for the weight of your adult dog. 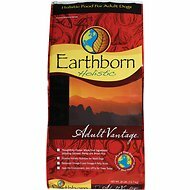 Puppy likes the flavor but I wish Earthborn would bring back the grain option. Grain free is a marketing ploy. Most vets will tell you that it is healthy to have grain in the diet of most dogs. Chewy has best prices and fast delivery, best choices too. 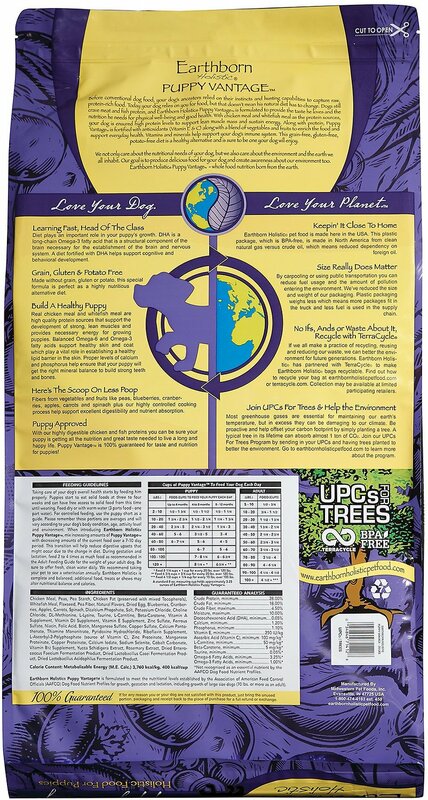 Our puppy loved his food at first but the bottom of the bag is really greasy.. Once we would get to the bottom of the bag our fur-baby would get really watery poop. He only liked his food for about 2-3 months, but of course each puppy is different. We still recommend this for everyone! I love this puppy food and the Earthborn Holistic Brand. The adoption center where we found Barney was run by a retired woman and she only fed her puppies this food. We continued feeding him the same food when we brought him home and have no intention of switching. 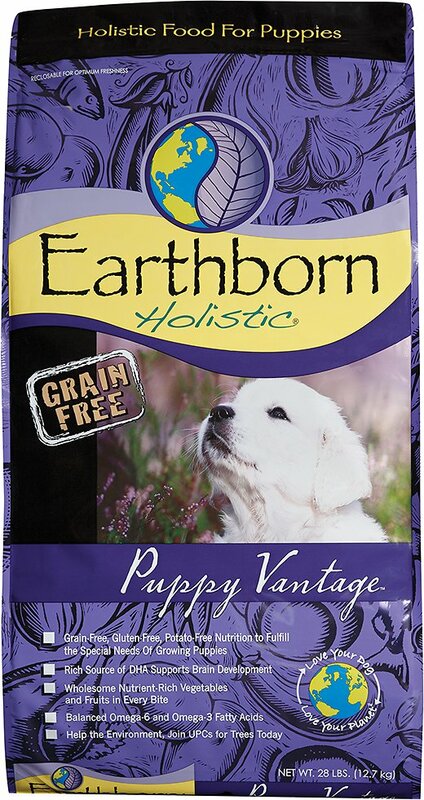 Even a close friend that feeds her dogs raw food said that Earthborn Holistic is a really great brand of dog food. She had done a ton of research on her own about dog food and she was happy to hear that we were feeding Barney great food too. 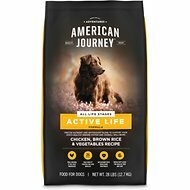 Very pleased with this puppy food and with Chewy's awesome customer service. My dog eats better than I do! Our puppy tried a few different kinds of food. He came from animal control and we weren't sure what food he was on. This was the food he inhaled when we gave it to him. He quickly gained weight and still seems to enjoy eating it despite finding out that humans get to eat lots of good smelling meats. It also helps keep him having regular stool. It is a more expensive costing food, the downside. I researched quite a few dry puppy foods before making this purchase. I compared several sites and their comparisons with what I already knew about nutrition. I have had Rottweilers before and I’ve experienced them puking for seemingly no reason. My rott baby boy has stopped gagging in the early hours and I think it may be due to the chelated vitamins, high healthy fat amounts and being able to better digest his food. We started on another cheaper puppy food and had to feed him twice as much then as we do now. That’s says a lot about the pure goodness of this food! We are so happy with this! Researched this company, never one recall in company history. Actually have a vet nutritionist on staff. Using this along with raw and my puppies are thriving. My 8 week old puppies have a very hard time eating this "puppy" food. The "kernals" are very hard - like orange or grapefruit seeds. Will not buy again. Our puppy is thriving, she was an under weight rescue and is now at a healthy weight. She seems to really enjoy meal time and I love that it's holistic and has excatly what she needs to grow! The puppy loves the food, this is what the dog has grown up eating, will never change.